See more objects with the tag artists, architecture, interior, design, light, entertainment, lions, theater, illumination, mourning, tombs, self-promotion, macabre, mummies, shadows, Egypt, barrel vault, incense. See more objects with the color dimgrey darkslategrey grey antiquewhite darkgrey or see all the colors for this object. This is a Drawing. We acquired it in 1938. Its medium is pen and black ink, brush and gray, blue-gray wash, graphite on off-white paper. It is a part of the Drawings, Prints, and Graphic Design department. 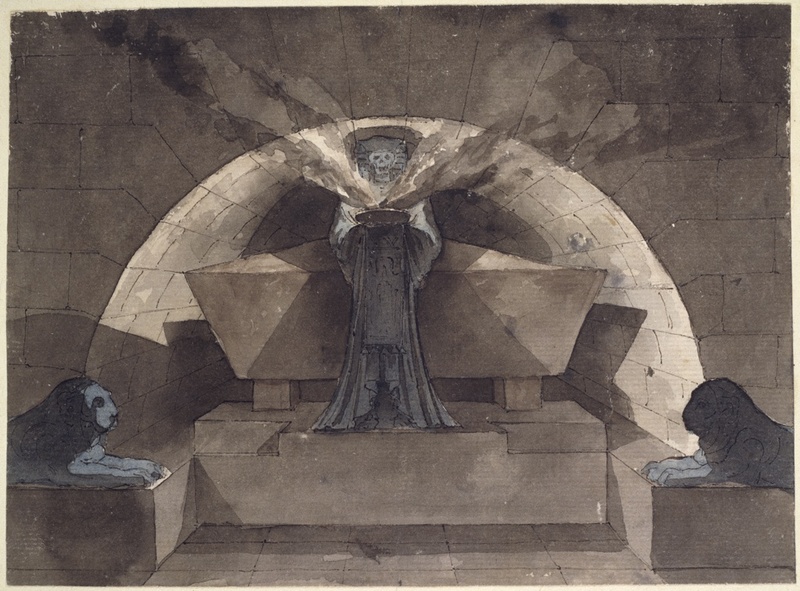 This atmospheric drawing shows the robed figure of death with a smoking brazier presiding over a tomb cast in a gray wash. Stark shadows describe the geometric forms of a massive sarcophagus and sepulchral niche. The simplicity of the somber interior evokes the proportions of Egyptian architecture, as well as the ancient culture’s fascination with death. Louis-Jean Desprez was an artist of great originality with a distinct taste for the bizarre and macabre. 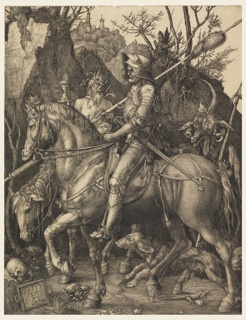 The late eighteenth century saw a growing interest in sublime terror and morbid visions, as reflected in the visual arts and literature. 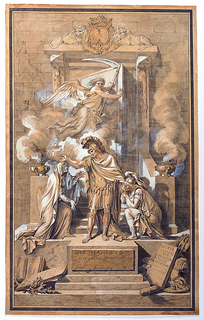 The dramatic lighting and abstracted space of Desprez’s designs were likely inspired by Giovanni Battista Piranesi’s Carceri d'invenzione (Imaginary Prisons) series, first published in 1750. 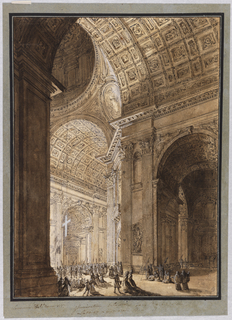 In 1776 Desprez went to Rome, where Piranesi’s work was enormously popular. 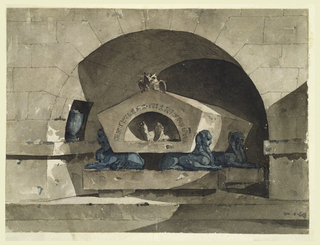 The following year, Desprez traveled to Naples, where he made numerous visits to tombs and catacombs. 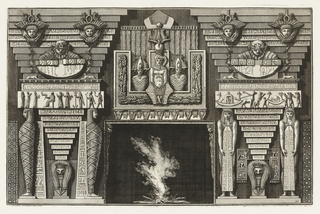 Four of Desprez’s Egyptian-themed tomb drawings were reproduced as large aquatint prints; the artist was introduced to the intaglio printmaking technique in Rome. 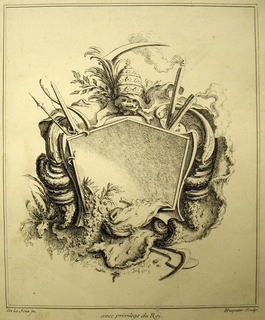 He admired aquatint for its capacity to produce soft tonal variations that closely resembled eerie washes of ink. Prints offered Desprez the means to disseminate his experimental architectural designs and to showcase his fertile imagination.